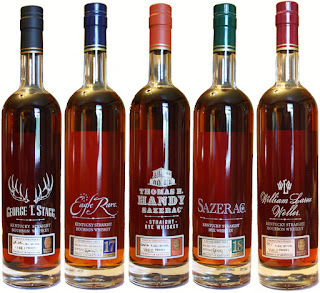 Stacey Kreideman, the PLCB's Minister of Propaganda, said last year that the most "fair" way for the agency to sell their allotment of relatively rare and highly desired Pappy Van Winkle whiskeys was to put them up for sale all at once, online, in mid-morning, with no warning but an email to say "We got 'em, time to buy!" 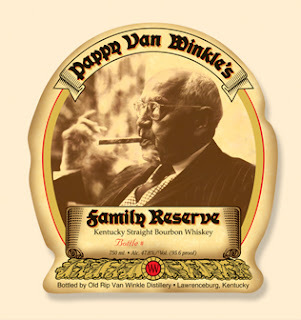 @PAWineSpirits @pappyvanwinkle what a joke. You couldn't even log on or load the page. How unfair. Most people didn't even have a shot. -- Shannon Barr on Twitter. @PAWineSpirits you completely botched that sale. The time for PLCB is over. -- from @jxalexander. The PLCB has decided to do something different this year. Rumor has it there will be a lottery system for the Van Winkle and Antique Collection allotments. Will that be more fair than the most fair way to do it? I don't have any details, but I do have some suggestions on how it should be done. For starters, I would put the lottery commission in charge of the lottery. Take it out of the PLCB's trembling hands completely. Who knows how to run a lottery better than the folks that run a lottery? Certainly not the PLCB. Allow customers one week to sign up; say, between the day after Thanksgiving though the next Thursday. Everyone who signs up has to provide all their required information -- ID, shipping -- along with a credit card number that will automatically be charged if their number is selected. That way no one wastes time trying to enter information on a system that's crashing. Have a separate lottery for each product, all 11 of them but all on one form, just check the ones you want. Filling out your name, address and credit card info 11 times is something the PLCB would make you do. Limit quantities to one bottle of each item and limit entries to one per person. If we're going to be stuck buying only from the State Stores, make it fair: accept only PA addresses for billing and delivery. Send out lottery numbers via email with a verification code so if there are any problems or questions the code can be used to confirm the entry. Once selection time is closed, run the numbers until all matches have been made...post the winning numbers on the website and send out the product. Have fun with that. Myself, I've been dealing with the same guy at the same store -- out of state -- for about a decade. I pay list price and generally have it a month or more before PA puts it on sale. In business, relationships are everything. It rewards customer loyalty, not forcing them to buy only what the state provides. A lesson the PLCB can't, by its very nature, ever learn. Just curious: What IS "list price" these days? Good question since it hasn't come out yet. I know it will be going up from last year but that doesn't answer your question. We'll have to get much closer to release before we find out I'm afraid. 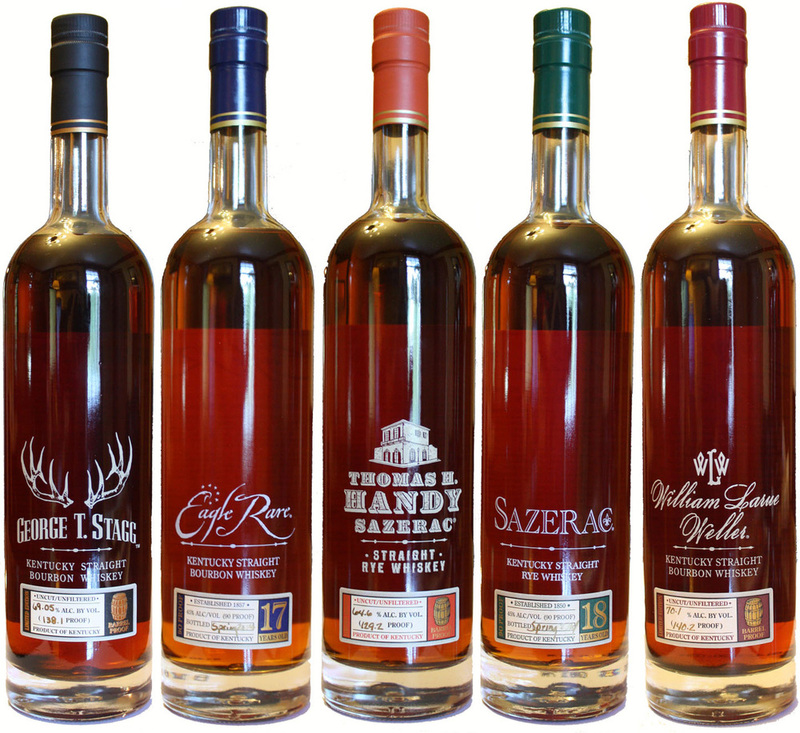 For the BTAC they all listed at $80 in 2014 and I've heard it will be $85 this year. Regardless of the method used it would be interesting to know how many bottles end up across the street with members of the Senate L&J and the House Liquor committees. The board is always sensitive to any requests from the legislature and especially those two groups. To know that you would have to know the allocation from the distillery and compare it to the amount sold by the state. I don't think the distillery will tell and neither will the PLCB. And even if you knew the numbers you would also need to know the number of bottles that were dropped and broken. Actually...I think the allocation to PA was announced last year. I'll try to check on that. As to "dropped and broken"... Ha! Ha ha! I see what you did there! It was announced by the PLCB but that doesn't confirm or deny how many were actually sent to the state. There were 1,665 bottles available for purchase last year, of all the Van Winkle brands. Sounds about right for PA to me. Yeah, that was last years screw up....if you find emails for this year's fiasco that would be a coup! Play "Who's the Dummy - PLCB supporters edition"